PRIDE OF OWNERSHIP FLOWS THROUGHOUT THIS HOME... Everything is done... NEW Roof and Well Pump in 2016... Most of the windows are new. In 2017...(NEW Gutters, Bathrooms, Flooring Throughout, Stainless Steel Appliances, Kitchen Sink, Interior Freshly Painted, All New Doors in House, New Patio Door, Crown Molding Throughout, New Water Softener.) 3 bedrooms, Split floor plan, 1 full bath and 1 half bath, laundry/mud room with new front load washer and dryer, living room and eat in kitchen. front and back decks to watch the deer walk by... and 6 CAR GARAGE! Home has a 3 car attached and a 3 car detached garage with new electrical. Property sits in quiet country subdivision on 1 Acre Lot.. There is nothing left to do except move in! 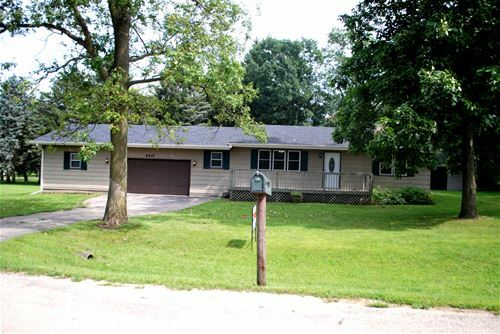 For more information about 4937 N Wendorf, Monroe Center, IL 61052 contact Urban Real Estate.